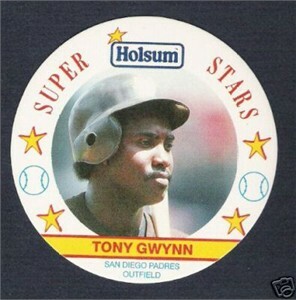 1989 Holsum disc of San Diego Padres Hall of Famer Tony Gwynn. Has typical discoloration from being distributed in bread packaging. ONLY ONE LEFT.